People generally accept that many things in life require regular maintenance: their teeth, clothes, homes, yards and so on, but Colorado motorists don’t often apply the same idea of maintenance to their vehicles. If you never brush your teeth or go to the dentist, you’ll become painfully aware of your neglect when you get a big cavity. Once the damage is done, we learn our critical lesson and start to take better care of things. Unfortunately, Denver people too often learn the hard automotive lesson only after they bring their vehicle to Express Car Care on a tow truck. So many times, a little routine maintenance would have prevented an expensive breakdown. So how do Denver car owners get into the habit of taking care of their vehicles? It’s so easy to forget it’s not like cutting the grass which you can see every time you pull in the driveway. Here’s something that will help: The key to good vehicle maintenance starts with the oil change. Think about it – when you go in for a full-service oil change in Denver, your cheerful Express Car Care service adviser will check all your fluids. If one of them is low, he can look for the reason why. If your serpentine belt is worn, he’ll see it and let you know. Corroded battery cable – they’ve got you covered. And they’ll check to see if your manufacturer has recommended any critical services at your current mileage. The fact is that vehicle inspection surveys consistently reveal that over 80% of vehicles have one or more needed repair or maintenance service that goes undone. Vehicles are generally very reliable and can take a lot of abuse and neglect – but you can only press your luck for so long. So when you come into Express Car Care for an oil change, you get a visual inspection of your car and a reminder for recommended services so you can avoid a total failure. Also keep in mind that your service professional can help you work out a maintenance and repair plan for your vehicle, prioritizing and scheduling the work to make sure you and your family are safe and help you avoid expensive breakdowns. In addition to full-service oil changes, at Express Car Care we also offer air conditioning service, transmission service and tire rotation. Yes, I completely agreed with the fact that many things in life require regular maintenance. Our car also needs proper maintenance at regular intervals, so that we can get a smooth driving, routine check-up of cars are very essential, it consists of a regular oil change, engine maintenance, wheel, and many other types of maintenance. We can do these kinds of regular repair and maintenance from a recognized repair and maintenance center. Thanks for such a wonderful article with useful vehicle maintenance tips. I liked that you should start car maintenance with an oil change. It is good to know that because I just bought my first car and I want to take good care of. It does seem like a good thing to be aware of if you want your car to last longer and not be too expensive to repair. Without proper maintenance vehicles could not run for longer periods. 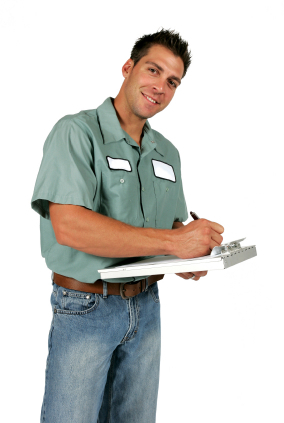 So, a quick inspection is really necessary to evaluate the condition of different components of the vehicle. Fluids used in the vehicle for the purpose of lubrication including engine oil needs to be inspected at a regular interval and if necessary should be replaced with suitable substitutes. Apart from this, replacement of damaged components of the vehicle is also essential to prolong the lifespan of the vehicle.